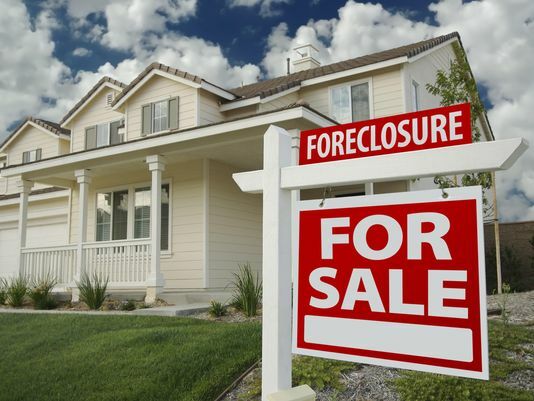 Why Should You Consider Purchasing a Foreclosed Property? A foreclosure begins when the owner of the property is sent a notice of default by the lender on failing to pay multiple installments. Depending upon the terms of negotiation between the owner and the lender, this whole process can take anything between six months to one year. Up until the time your property is sold at an auction or taken possession of by the bank, you have the right to sell it. With the amount that you receive from the sale, you can pay the outstanding debt amounts to the lender. Alternatively, when the owner of the property cannot pay their outstanding monthly mortgages, the lender goes on to take possession of the property. The property, thus, stands foreclosed and is offered for sale soon after this. For someone looking to purchase property, there are many benefits to buying a foreclosed one. However, if you proceed without adequate knowledge, you will have to face many unexpected hurdles. Weight all the aspects before proceeding so as to avoid any unpleasant surprises. For the same, you must consider availing foreclosed houses selling services. The agents who offer such services will provide you the best guidance about the aspects that must form your consideration before making the purchase. 1. The Choice of Buying at a Different Stage – Anybody looking to purchase a foreclosed property has three different choices of phases when that can do so. They enjoy the benefit to buy in the stage that suits them the best. The period of pre-foreclosure is best for those who wish to purchase a short sale property. Alternatively, one may wait until the foreclosure to purchase the property via auction. The final stage is the one in which the foreclosed property gains the status of a real estate owned property. Assessing the pros and cons of purchasing at each of these stages, one can go on to buy the property as per their preferred time. 2. Prices Lower Than the Market Rate – More often than not, buying a foreclosed property enables you to pay lesser amount for the property than the price being charged for similar property in the market. The providers of foreclosure houses selling services generally price the property at the same price which remains outstanding as the mortgage amount. These service providers include a nominal amount in the value of the property as their fees for providing the said services. This amount is much less in comparison to the amount charged by real estate investors who are looking to return a considerably high return on their investment. 3. Appreciation of the Property’s Values – Buying a foreclosed property that is priced much lower than other similar properties in the market is no doubt a great way to get a good return on investment. However, if you are able to find a foreclosed property that requires some fixing, then you can end up having an even better deal. By making the necessary repairs, you can actually increase the value of the property and achieve an even better return on investment. 4. Better Financing Deals – When purchasing a foreclosed property directly from the bank, it is possible that you come across a property on which the bank is willing to give a better financing deal. This is more so in cases when banks find it beneficial to sell off property as soon as possible. Thus, you get to pay a lower interest amount and closing cost. The benefits mentioned above are just a few of the many that are there when you choose to buy a foreclosed property. Remember that you will get the choice of buying from a range of different properties- single-family houses to luxurious condominiums. Moreover, when you have a reliable provider of foreclosed house selling services assisting you, you will have no problems at all in finding a deal that can provide a high return on investment.